Derived from the Sanskrit (an ancient language of India in which the Hindu scriptures are written) root ‘yuj’, yoga is believed to mean uniting the body and mind. Being a practice of the body and mind, yoga’s various postures combine physical strength and breathing techniques to get the body in shape in addition to relaxing the mind. This article is about 9 of the best yoga books to read. 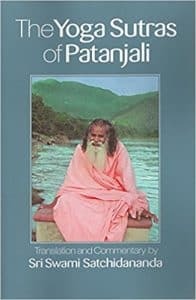 For beginners as well as passionate users of yoga and meditation, following are some amazing reads on this exercise that has transformed millions of individuals. Yoga has both a physical and a spiritual aspect, and this article is going to look into books that cover either or both its aspects. Read on about the top yoga books, learn, and get ready to transform yourself. Written by a master of Theology & Religious Studies, this yoga book focuses mainly on the spiritual side. Adele has visited India – the place where yoga originated – several times for exploration and research as she believes that it is highly important to challenge ourselves, question ourselves, and engage in some form of meditation or prayer daily. This marvelous yoga book is about five yamas, Sanskrit word for restraints, that are nonviolence, not stealing, non-possessiveness, truthfulness, and non-excess, and five niyamas or practices that are purity, self-discipline, surrender, self-study, and contentment. For laymen, these can be described as the ten commandments of yoga belief and practice. These ten commandments are the heart of yoga and they are what encourage real growth on a personal level. This book teaches you to go with the flow, relax your mind, and simplify as opposed to the general desire to keep on accumulating. The spiritual nature of this book makes it one of the best yoga books to read for all people, irrespective of religion. It does not stress specifically on religious beliefs and practices; instead, it talks about basic practices of life that help you become a good, balanced, and pure human being who understands and implements the meaning of good. There are often words and concepts in yoga that individuals find confusing – they get lost in the Sanskrit of it all. But, that is not the case with this book. The simplicity of this book is really motivating and energizing. The yamas and niyamas become very clear and you can easily relate them to the modern world and its ways. This book is loved and recommended by students and teachers alike as it has impacted everyone in their own capacity. 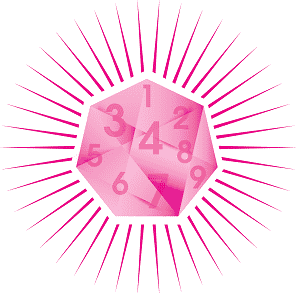 Each chapter ends with a self-study section that really encourages you to challenge and improve yourself. Although the concepts presented by Adele are simple, they are not really obvious and people do not observe them consciously. The way she has put forward the ideas and concepts inspire readers to implement the ten yamas and niyamas to bring about a fascinating change in their lives, both on a mental and a physical level. After all, a peaceful mind leads to a healthy body. This priceless yoga book is a complete guide for studying and practicing Raja Yoga which is all about concentrating and meditating. Sri Swami is among the most revered Yoga masters of the contemporary world and he has presented classic sutras (rules, thoughts) – that date back to more than 4,000 years ago – in original Sanskrit, followed by translation and commentary. He is also among the first masters of Yoga who is responsible for introducing this wonderful exercise in the West. The classic sutras explained in this book cover teachings on physical postures, meditation, and ethics, as well as tips and tricks on how to deal with pressing situations on a daily basis. This book is a timeless piece, and can be read over and over again by seekers of the peaceful path. Based on his personal experience, the author offers valuable advice on how to master the mind, and achieve emotional and physical harmony. There are various books on sutras but this one is by far the best and simplest of them all. It is a great book for beginners as they will understand the basic concepts of yoga by reading the translation and commentary of the Sanskrit terms. Moreover, it is equally useful for both students and instructors of yoga. The book uses simple language and examples from our daily life to bring home its purpose, but yet, it’s so intense that one cannot help being completely overwhelmed and changed just by reading the text. However, before deciding to read this book, you must know that it is a one of the yoga philosophy books, and not one that you can read like a novel. Should you choose to read it, rest assured you will close the book as a different person. Written by an internationally famous expert of yoga, this book takes you on a ride into the philosophy of yoga, because the inspiration and motivation that yoga guarantees originates in the mind, and not the body. This fabulous yoga book emphasizes more on the spiritual and philosophical aspect of yoga which you can incorporate into your life, and make it more meaningful. The author has used mainstream and simple language that children of the modern world can easily comprehend and enjoy, just as much as advanced users and instructors of yoga will. 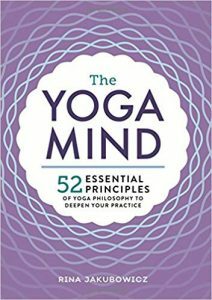 This book is amazing for beginners as it gives them an understanding of the basic concepts, principles, and purposes of yoga practice. In addition to lucid explanation of the basic yoga concepts, The Yoga Mind also offers clear instructions for practicing simple exercises and meditations. The best thing about this yoga book is that you can read it however you want; from beginning to end or just a few pages in between. Whatever way you choose, you will come across simple steps that you can take to blend the ideas of yoga into a practice that brings purpose to your life. This book does not teach the various postures of yoga. Rather, it covers different principles in each chapter that concludes with an activity that you can practice. If you want to learn more about the origins of yoga and not just the physical postures, then this is one of the best yoga books to read. Take the philosophy of yoga off the mat, and absorb it into your mind and life. 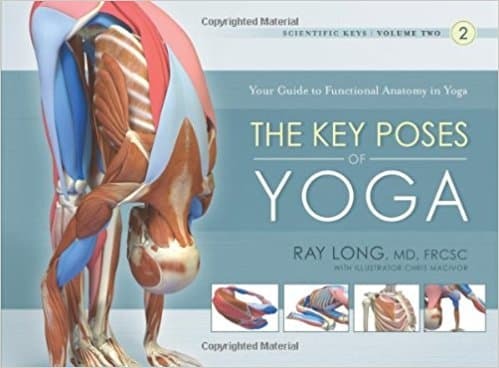 This yoga book is written by a best-selling author and the creator of YinYoga.com, and it goes beyond any other book that discusses yoga anatomy. This book looks into the human body’s anatomical structures, how it differs from person to person, and the sources that restrict movement. The book comprises of two volumes. The first volume introduces a mantra to use in each posture of yoga: what stops me? It examines the characteristics of muscles, tendons, joint capsules, fascia, bones, ligaments, extracellular matrix and how they contribute to our mobility. Not everyone can perform each posture of yoga, because the shape of the above-mentioned structures determines every individual’s range of motion. This book gives everyone a kind of freedom, because each person realizes where their limits are, and what they can and cannot do. It keeps everyone from forcing themselves to try out a posture that might cause harm to their body. The second volume of the book applies these principles of individual range of motion, and each body type’s special qualities, to the lower body that is from hip joint to foot. It shows how the unique variations of these joints will impact every individual’s yoga practice. This wonderful book is mostly about the postures of yoga and how different body structures impact the practice of those postures. So, if you are an instructor or just someone who is a cautious user of yoga, this is the one of the best yoga books to read. “More important than knowing what kind of pose the student is doing is knowing what kind of student is doing the pose,” writes Bernie Clark in his book. As yoga is gaining popularity, the amount of injuries on the yoga mat are also rising. This fantastic yoga book is a blessing in such a time. It’s great for instructors as they can really guide their students on the do’s and don’ts of yoga, and how to modify each posture considering their unique body structures. It’s a definite read for both students and instructors of yoga. The knowledge and value that you gain by reading this book is totally incomparable. With information from this book, each individual can design a yoga routine that is best suited for their structure. 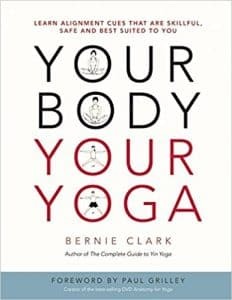 “Bernie Clark masterfully guides readers through an understanding of their unique bodies,” says Professor Stuart McGill, PhD of University of Waterloo, Canada. The book is easy to read, but it is dense. Some people, who are not truly passionate about yoga anatomy, might not be able to wrap their heads around it. But for those who seriously want to practice yoga for life, this is one of the best yoga anatomy books available. Get to know your body, understand it, and change your life. Powers has a tremendous knowledge of philosophy and anatomy which you can easily see in her book Insight Yoga. Her book is a perfect blend of traditional yoga, Buddhist meditation, and Chinese medicine. Insight Yoga examines yin or passive, and yang or dynamic postures of yoga that benefit both the body and mind. 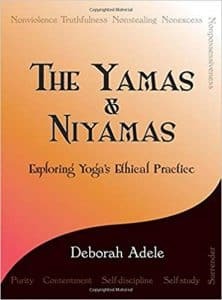 The author is famed and loved for her unique approach towards yoga, that is combining the practice of yoga with Chinese medicine. This book gives readers a clear explanation of the foundation of Chinese medicine and meditation, that can be incorporated in their daily lives to make them more relaxed, focused, and healthy. 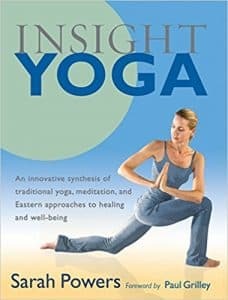 Insight Yoga, like its name suggests, takes the readers on a journey into their minds and souls. “This is a teaching of great warmth and intelligence that will heal your body, invigorate your mind, and inspire your soul,” remarks Richard Rosen, author of The Yoga of Breath. This book is inspiring and very easy to follow, thanks to its excellent illustrations of the yoga postures; so vivid you would want to put your book down and get to exercise. Some books emphasize more on the physical aspect, and some more on the spiritual aspect of yoga. This book is one of its kind because it is very balanced – in addition to clearly explaining and demonstrating the yoga postures, Powers has also revealed how you can practice meditation and deep reflection to really bring about a change in your life. If you are interested in learning yin yoga, then this is one of the best yoga book to read for you. Read, reflect, stretch, and relax. This well-illustrated yoga book is an excellent resource for beginners who can learn exactly how to perform the different postures of yoga. If you feel lazy or emotionally exhausted, and want to energize yourself, and become flexible and happier, then this is one of the best yoga books to read. This is your gateway to a flexible, stress-free, and happier you. Yoga is famous for increasing flexibility, but it is much more than that. Yoga can be as intense as you make it, and in addition to giving you awesome shape, it can also work as a stress reliever. You do not have to exercise for hours and hours like you do at the gym; even if you have ten minutes to spare, yoga can do you wonders. If you want to know how, then sink into this yoga book. 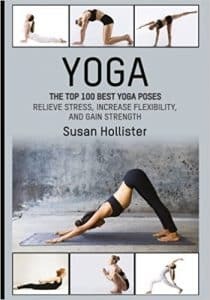 Hollister has written a simple and easy to follow this book that focuses mainly on the physical side of yoga. Reading this book will help you boost your morale, relieve stress, improve concentration and increase self-esteem as well as get your body in great shape. If you suffer from an injury or are otherwise physically restricted, this book will guide you on how to go about the postures so you can avoid further injury. 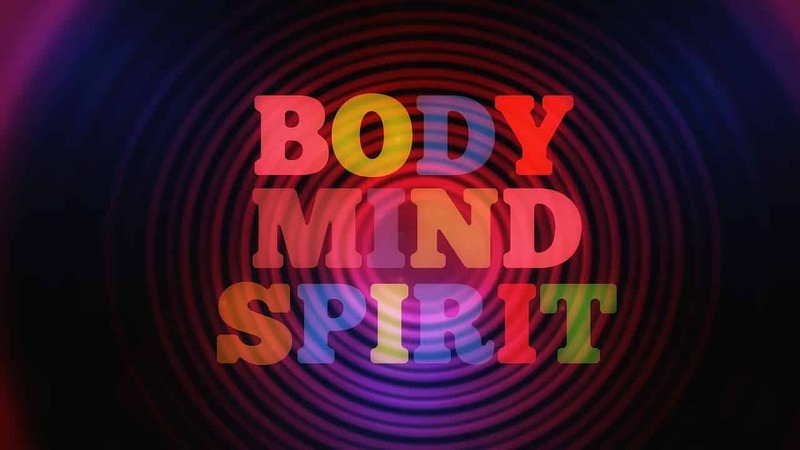 In today’s busy world and jammed up routines, what you need the most is a relaxed body and mind. Yoga can help you achieve exactly that and Hollister guides you on how to incorporate yoga into your lifestyle; you can become your own personal instructor and design your own yoga routine that is in line with your personal needs. What more can you ask for? The author of this book is the founder of bandha yoga in addition to being an orthopedic surgeon. This book is an amazing resource for instructors when they teach their students how to perform yoga postures, and which posture affects which muscle, or body part. The Key Poses of Yoga contains fabulous illustrations of muscles in the major body parts such as the legs, arms, and shoulders, that are involved in a yoga pose or that should be engaged in order to make the pose effective. Long approaches hatha yoga scientifically in his book, which makes it a very knowledgeable and informative read. The book contains descriptions and the countless advantages of hatha yoga through the use of multicolored 3D pictures of tendons, ligaments, and muscles of the human body. This is very helpful in the sense that if you do not know how to perform a specific pose, you can easily figure it out by working the muscles that are portrayed in the pictures. When you feel your specific muscle working, you know you got the pose right. The Key Poses of Yoga is a well-designed and incredibly clear book that really explains which yoga pose affects which tiny tendon, and that just makes you wonder in awe at the human body. Prepare to be blown away by the creation of Mother Nature. 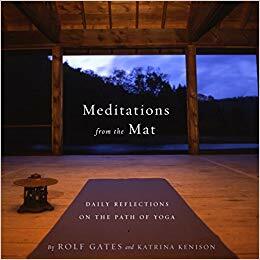 The clear descriptions and vivid illustrations make this book an excellent read for those also who want to train themselves at home instead of going to a yoga class. Because of the scientific nature of this book, it focuses entirely on the physical aspect of yoga, and therefore it’s a must read for physical trainers of yoga who exercise solely for a healthy and gorgeous body. This book is bound to become your companion on your journey into yoga. Written by a renowned yoga instructor, Meditations from the Mat teaches you to integrate what you learn from yoga into your daily life. Whether you practice yoga in the morning to boost yourself, or in the evening to relieve stress, the reflections in this yoga book will enhance your journey. This book focuses more on the spiritual aspect of yoga and how you can use it for your emotional health and strength. Kick back, and learn how to unwind. Yoga is not just an exercise, it is a journey that is evolutionary and rewarding every step of the way. This simple and affordable book is a great read for students and instructors alike. The inspirational and motivating tone of the author really pushes you to relieve stress, find balance, and just go with the flow. The book contains 365 reflections or entries that are supposed to be read one each per day. But because of their power, you’re going to find yourself wanting to read just more than one everyday. You can read the reflection in the morning to inspire and challenge yourself, or you can read it at the end of the day to relax your nerves. Whatever time you choose, you are simply going to love what you learn each day. Gates is a master of education and has over two decades of success working with little ones. Considering the countless benefits of yoga, why just restrict it to adults? The author has done a great job by writing this book; it’s a great way to introduce yoga to children. And that is why Good Morning Yoga is among the best yoga books to read. It’s a top yoga book that has been simply written and illustrated so children can easily imitate the poses. The colorful illustrations also make it a fun and interesting activity for the children. The simplicity and colorful nature of this book makes for a refreshing morning and evening yoga routine, for children and parents alike. The poses of yoga are especially beneficial for children with various dysfunctions or disorders. By learning the poses, children can help calm themselves down by practicing them whenever needed. 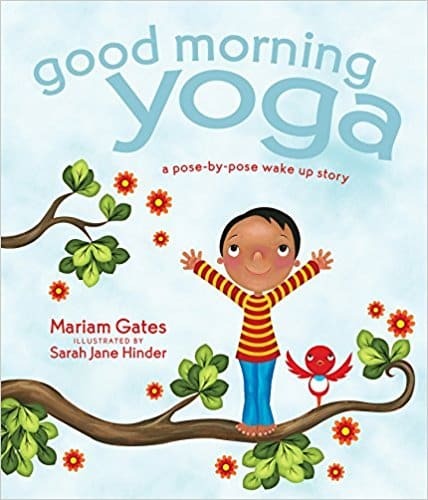 Good Morning Yoga is the perfect book for children, but it is sure to entertain adults just as much, so it should not be limited to young yogis only. It’s a great resource for parents and teachers who want to incorporate an exciting yoga routine into children’s lives. “This should be a part of every school’s curriculum and family’s wake-up ritual,” says Kathryn Budig, yoga teacher and author of Aim True. Make this book a part of your family’s morning and evening routine. There is no better family activity than practicing yoga together, and this routine will become a treasured memory for the years to come. Find the 9 best yoga books to read in terms of philosophy, spiritual and the physical aspects of the exercise. Top reads for beginners and passionate yogis.